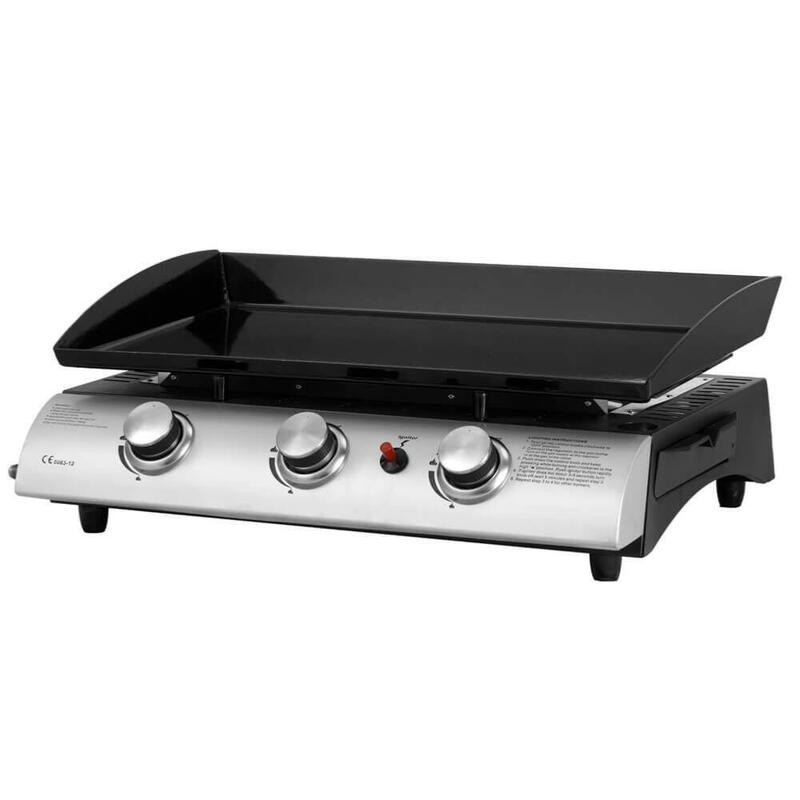 Cook on a gas fired flat plate like the Southern Mediterraneans. 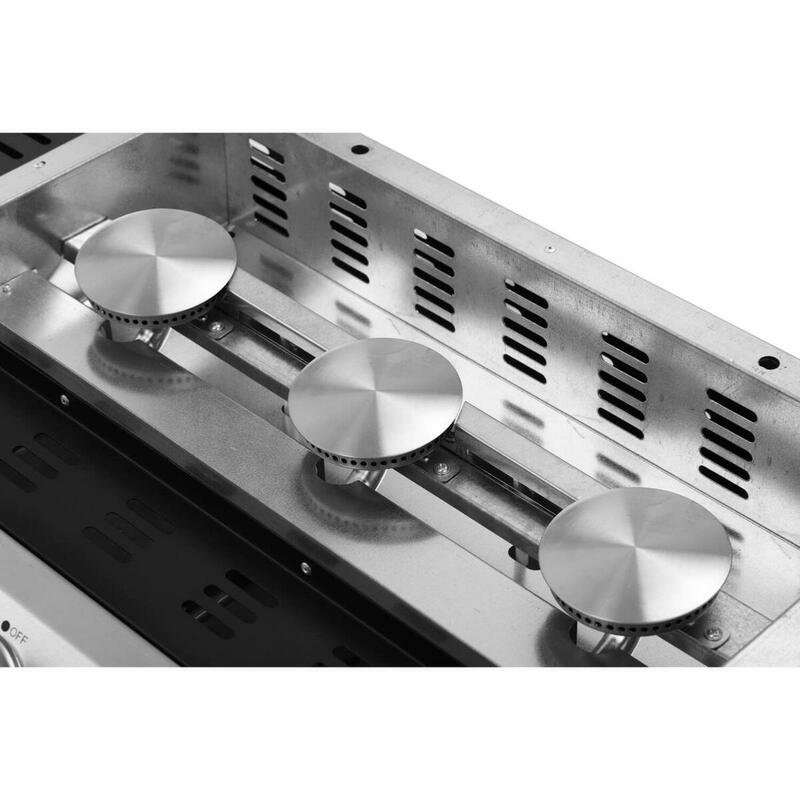 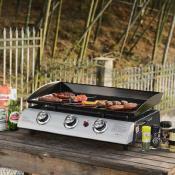 The Plancha BBQ is stainless steel and brilliant to work with and a pleasure to use. 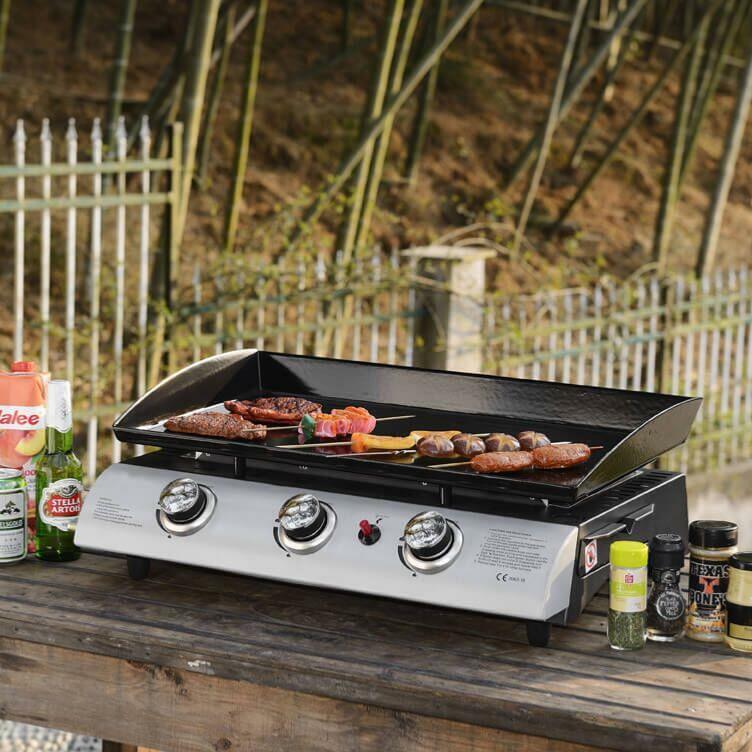 For BBQ grilling the gas plancha comes complete with it's own purpose built detachable stand with whells and two side tables. 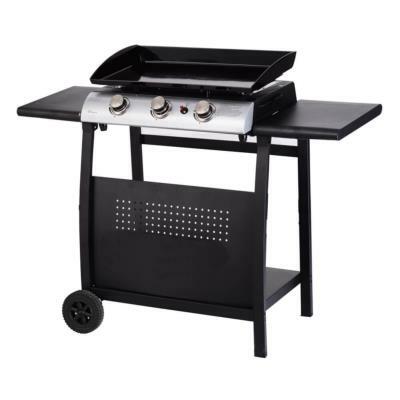 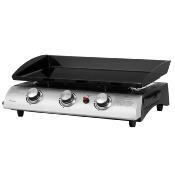 The flat plate grilling surface has 3 circular burners with piezo ignition and an enameled steel grill cooking surface. Easy to clean and portable, can be used without the stand. Enameled Steel griddle flat plate.